Using daily meditation to expand my consciousness and explore Truth has become a integral part of my life. I’m fascinated by the notion of diving into the unknown and seeing what happens – or very often – what doesn’t happen. The stillness is blissful. Sometimes, the nugget of insight is simply a deeper and/or different way of perceiving something that I thought I already understood. There is always another level of understanding waiting to be discovered. For me, it’s no longer so much about knowing all the answers (although I love when I get them! ), but about learning to enjoy the gradual reveal of hidden treasures beautifully and strategically placed by Source for my eventual discovery – offering me the opportunity to experience more of myself and the mystery of life in the process. It’s so delicious to experience oneself through conscious awareness as opposed to simply understanding oneself intellectually. Falling from mind into heart space has been the gateway for me. Love is Everything. Not just in the “love is the most beautiful and powerful energy” in existence, kind of way, but in the “everything in all of existence is love” kind of way. Love is what the Universe is made of. Love is what we are all made of. 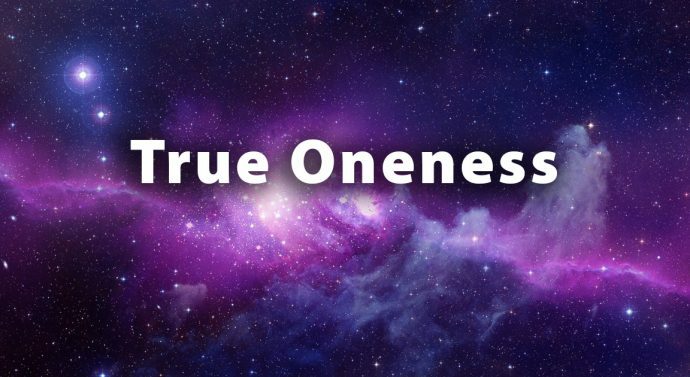 The path to knowing Oneness is by re-becoming love itself through heart centered conscious presence, and remembering (re-membering) the Truth of who we are on the deepest level. Love is the sacred path upon which we make our pilgrimage home.